and finally, we discuss his major lessons learned since raising Drive’s first $250M fund in 2012. “Silicon Valley is the only place you can find and retain key talent. It’s the only place you can scale a large organization. It’s the only place you can get the smart money you’ll need to grow. How many customers are located within a stone’s throw of us? How many engineers can be hired on a $500k seed round? How much office space can be had a $1/square foot? -and finally looking at the exit data… when Chris asked himself to name the $B companies, built in the midwest, over the past five years, he came up w/ four or five names where, in fact, there are 52 of them… accounting for over $400B of shareholder value. Upon finishing the study, it was clear to Chris that while silicon valley has accounted for the majority of value in tech over the last 15 years, the value over the next 15 will come from outside the valley. One of the first questions one must ask, is why haven’t the large VCs acknowledged the data and developed a major presence in the midwest? 1. The first reason, from Chris’ standpoint, is that a lot of venture funds have a farming approach. They set up shop, claim their turf and meet every company in their plot. Whereas Drive has taken a different approach. They don’t farm. They actively go out in their region and cold call every company that fits their thesis. 2. The second reason is that the firms are operating on an antiquated assumption. In the first few decades of the Internet, startups had to be physically close to technology. The technology, the talent and the ecosystem has to be dense and geographically co-located. Whereas now that’s not the case. Startups can access, build, and deploy global tech products from anywhere. And so Chris asked the question, if you don’t have to locate yourself next to technology, where should you be located. And Sean Lane had given him the answer. A startup should locate as close as to customers as possible. Remember that customers are the ones that fund every successful business in the long term. Investors may only fund a company for the first five years. 3. And the final reason why the major VCs haven’t located in the midwest is that Data lags. VCs tend to use data to drive decisions, which is inherently backward looking. Of course, you haven’t seen as many billion dollar companies in the midwest as the valley, but with the time-horizons of this business, one won’t find out if they missed the opportunity for 5-10 years. And even now it has started. Chris’ study found that entrepreneurs today are building more billion-dollar companies in the Midwest than in the last 50 years combined. And Remember Chris’ recollection from talking to Sequoia founder, Don Valentine. Don shared that the establishment thought he was crazy, in the 70’s, to be building a venture firm in California. Up to that point, the startup funding activity was located in Boston. 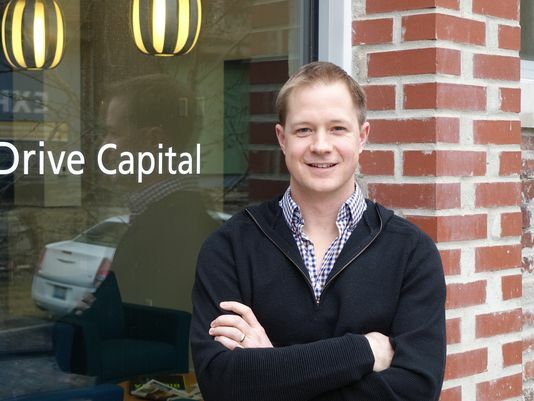 His peers told him that the only place you could do startups, the only place tech was happening was in Boston. There weren’t enough smart people or infrastructure to do startup in California. It’s crazy to think the pioneers of VC in the valley were very much the contrarians of their time. 1- Dealflow: When Drive first launched, the valley establishment assumed they’d be chasing their tails trying to put $250M to work. 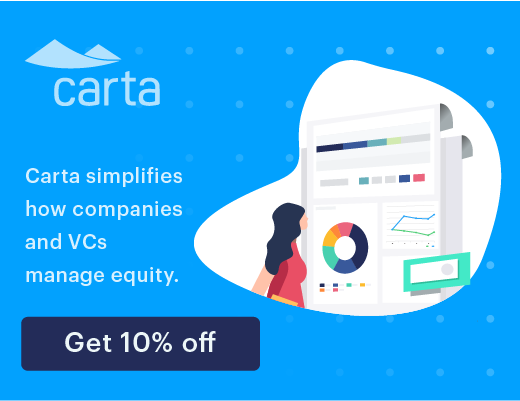 In fact, not only did Drive quickly find great companies and deploy the first fund, but they’ve gone on to raise a subsequent, larger fund to invest in the high-quality dealflow they’re seeing. Speaking of dealflow, Chris mentioned that in their first year, they saw 1,800 companies. In the second year, they looked at 3,000. And last year they reviewed 3,500. For reference, Marc Andreesen has stated that they look at around 4,000 companies a year. This is a tremendous amount of high-quality dealflow. 3- Engineering retention. Here Chris cited the example of ExactTarget from Indy. And how he asked Scott Dorsey how he outran the many, well-funded, valley-based competitors. And Scott said “I have the same engineering team I’ve had since the beginning. The guys who wrote my first line of code are the guys that wrote my last line of code. And secondly, I’m so close to my customers that my CTO would go out and visit a customer every single day.” Engineering turnover in Silicon Valley is a major problem and averages between 30-50% per year. Chris has observed, in his portfolio engineering turnover of ~12%. From Chris’ standpoint, the time for funding in the Midwest is now and he’s already seeing it play out. Nick: I’ve spoken with a number of investors that believe that all, all great tech companies must relocate to the Valley. You know, #Naval is pretty, pretty famous for saying that, but every successful founder I have talked to in the midwest has attributed their location to a big part of their success. Nick: Yeah, I was just at the, #Techstars demo day the other day, and the keynote speaker was #Chris Gladwin of #CleverSafe. And he was talking about the quality of his engineers and the retention levels, how he’s lost very, very few through their, their growth process despite the struggles, and how that’s very seldom the case out in the Valley, there’s a lot more turnover. Chris: Yeah, and I think about it as look, it’s, if you’re signing up to build a new company, you are signing up to take on one of the hardest challenges that you can think of. I mean, you’re basically going out and saying I’m going to change the world. So if that’s your mission, to me my attitude is that’s a hard enough challenge in and of itself. And what I want to do is spend my time fighting my competition, fighting my, the incumbents. I don’t want to be fighting for engineering talent internally when I don’t have to do that. And I think, you know, the engineering turnover in Silicon Valley, depending on who you talk to, is between 15 and 30% a year. And the engineering turnover we see in our portfolio on average is something like 12%. So that’s not to say that companies out here don’t have problems. They certainly do. But access to engineering talent is not one of them. And you’re seeing big companies start to wake up to this and they’re taking advantage of it. So, you know, look at all the engineering centers #Google has out here. #Uber has it’s self driving car initiative in, in Pittsburgh. Chris: I mean, this is a, this is a phenomenon that is beyond just us and our portfolio. This is, this is something that a lot of folks are waking up to. Nick: Sure. 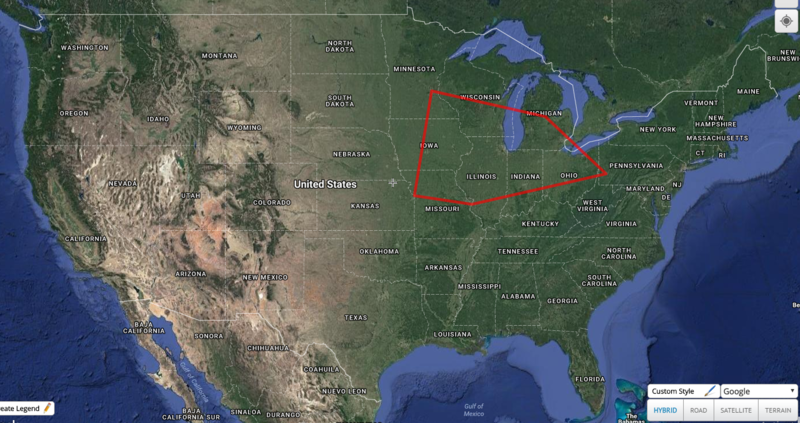 So, you know, on the problem front, can you talk about any unique challenges that there are in the midwest because of how large and spread out the region is? Chris: Well, I’ll tell you one of the biggest challenges for us has been dealflow. There is too much of it for us to really it has been a surprise, but we look at it, you know, last year, the first year we did this we looked at 1800 companies. In the second year we looked at 3000. Last year we looked at 3500 companies. That is, that is a remarkable volume of investment opportunities for any small team to try and, and evaluate. Chris: And we look, we look at them all. We, we do our best to, to get through them all. But, you know, it is, it is absolutely a challenge to see how many entrepreneurs are out here. And, and it’s a problem because we have our model for investing, it works for us, but it’s by no means is it the only one that works. And what I would love to see is, and which I’m starting to see now, are a number of seed investors and angel funds get into earlier stage venture funds and those funds are getting bigger. And over time what I’d love to see here is an emerging system of venture firms that have lots of, of hundred or couple hundred million dollar funds investing in those investment opportunities because most of them are, you know, if we invest in 7 to 10 companies a year, that doesn’t mean that the other 3490 companies were uninvestable. It just means they weren’t a fit for, for us at that time and there’s, I’m willing to bet anything that there are are great investment opportunities in there that we either, you know, weren’t a fit for or that we were wrong about. And I’d love to see those be successful companies too. But, you know, it’s, it’s harder when there’s just not as much investment out here. Chris: And that part has been interesting too. Nick: You’ve talked about Ann Arbor, Michigan as sort of an example midwest city that attracted you to the region. Can you highlight some of the characteristics that drew you to Ann Arbor and made it interesting from a VC standpoint? Chris: Well, I think a lot of what you’re seeing in Michigan comes from, from two things that, that you see there. Number one is, is the University of Michigan. And it is a, a beacon of engineering talent and some of the very best AI machine learning, you know, next generation applications in CS are coming from the research programs that are at the University. And that’s, it’s not just tech. I see the same thing in, we don’t spend as much time there but I see a whole bunch coming out in healthcare and a bunch of other things, a bunch of other disciplines. So there is, there is a tremendous amount of, of smart people who are going there to work on hard problems in this dense area that is Ann Arbor. The second thing that you have is you have a, a fairly strong venture and seed program of firms who are up there. So whether it’s, you know, #Tim Streit with #Huron River Ventures or, you know, the #Hyde Park Ventures guys, they spend a lot of time, there is a firm there called #RPM, there are, there’s like say a pretty, for the size of the town, a pretty good seed ecosystem there that has started investing in, in these companies. And the University of Michigan has done a great job of trying to help these students access a capital through putting on things like Demo Days and making sure they’re proactively reaching out into those, into those venture firms. And the outcome of that has been, there’s a, there’s a lot of activity. There’s a lot of people who are starting companies at the university. And what we find is that you have a lot of really smart young people that are able to get their start, and immediately find a team of those, those first five or three engineers in the town that get your first product up and running. It gets you to that first customer. And anytime you see that happen, it, it starts to, to get the flywheel of momentum going to a place where, you know, even investors like us can look in and say like oh man, these are, these are really exciting businesses. And so I think as we’ve kind of looked and spent more time there, we see all the raw ingredients there for, for a replica and, and microcosm of what, what you see in Silicon Valley. And, you know, there’s a tremendous number of companies that are there. And now those companies are having founders and management teams who are getting acquired and they’re going back into the ecosystem. And you look at companies that are out there, you know, you look at, at companies like #ArborMetrix that have now funded, that are now, the founders of that company has now spawned a company called #DeepField. Or you look at the founders of #Jewel Security and the management team, there are a lot of those folks are spinning out and they’re starting their own companies. And, and if that, that kind of, you know, if that critical mass of founders and entrepreneurs coupled with the capital and the raw engineering talent that comes out of the school, then it’s really, really powerful. Nick: Yeah, you mentioned before that part of the, the attractiveness of the midwest is that the talent is here but, but also the customers, and how sort of the next great ecosystem is going to be located close to the customer as opposed to, to necessarily just being located close to talent. Is that one of the key distinctions and one of the key reasons why you located in Columbus and you’ve got this vision for, for the midwest? Chris: It is. It absolutely is. And it can’t be over stated how valuable those early customers are to a startup company. And we’ve been really, really fortunate with the, the business community here in Columbus and in, and in a lot of the midwest cities where we’ve spent time where, you know, companies like #Victoria’s Secret are willing to be a, an early customer, or #Nationwide Insurance or #Cardinal Health. They have said listen, we are willing to be an early customer for companies that are a fit. Now there’s no special treatment, there’s nothing inherent that says that they’re, they’re doing something. It has to be a fit for their business. But for a startup company to get access to that kind of early customers is incredibly helpful. I mean, to a lot them I think it’s the difference between getting your A or your seed round done versus, you know, crashing into the wall. So it’s been incredibly serendipity for us to, to have the opportunity to build relationships with those folks and to have them help us by backing our companies as, as those early customers. Nick: So upon review of the data you found that midwest entrepreneurs were building more billion dollar companies today than in the last 50 years combined. And your partner #Mark Kvamme concluded that the next great venture firm will be built in the midwest. So with this phenomenon, do you see more coastal VCs coming in in the future? Have you seen that already? Chris: We’re seeing it already. And it is, you know, in the beginning it was kind of like, and most of my friends in Silicon Valley were kind of like you’re doing what? Like, really? Ohio? And you know, are you sure? And, you know, now what’s interesting is we’ve got a, we’ve got a pretty good dance card of folks who are calling us and saying, you know, hey #Chris, I’m going to be in Columbus, any chance you got time for coffee? I’m like I get it, I get that you’re, you just happen to be in Columbus, but listen what I’d love to do is to show you through everything that’s out here and, and take you through the portfolio. So, you know, all the top firms have, have come through and spent time with us on, you know, giving us a day’s time and going through the portfolio. And a number of them have, have invested in our companies. And now the portfolio is, our portfolio in aggregate has raised over $350 Million of follow on investment from folks on the coast who have come in and, and invested in our businesses. And, you know, that’s not slowing down. That, that’s only accelerating as we have, you know, we’ve gone from what was, what was a research project and, and a bunch of powerpoint slides and some graphs and, you know, kind of believed that it was here to look these are the tangible results. These are real entrepreneurs who have built companies and products. You can see the momentum. You can come and meet them. You can talk to their customers. And when you do that, it’s obvious that these guys are building something great. And that’s what the folks who have invested at the time are finding and, and continue to invest in. Nick: So you launched the $250 Million fund in 2012. What have been your major learnings or aha’s since then? Chris: I think the biggest learning is that there is an opportunity here that is truly the opportunity of our lifetime. That this is not just graphs. There are a plethora of, of founders who are out here and, you know, they were the, the names and faces behind all the data that we had kind of researched. But, but they’re real. And, you know, they’re, they’re not just the, they’re not just data on a graph, these are people who are super passionate about building their businesses. You know, a lot of them aren’t doing it, and most of them actually in our portfolio, almost all of them, they’re not doing it for the money. They’re doing it because these are passion projects about which they care very deeply. So, you know, #Jesse Vollmar, as an example, he’s the founder of a company of our called #FarmLogs. #FarmLogs was the incarnation of #Jesse’s work having grown up on a farm, and realizing that the opportunity to use computers and software to optimize what a, a farmer could produce on her or his crop was really, really a, something that could improve the world’s food supply. And that was something about which he got incredibly passionate about. And now he’s grown that from what was a, a dorm room project into now it’s half of the nation’s farmers that are on his platform. And you meet with #Jesse and you don’t hear anything about, you know, trust me, he has, he has every ambition taking over his version of the world. But, you know, when you meet with him, he cares about his customers, he cares about the farmers because he’s from the farmer’s family. And whether it’s #Jesse or it’s #Sean Lane or it’s #Carey Frank, there are entrepreneurs out here are, they are so passionate about their customers. I think that that’s, that’s been an incredibly refreshing attitude that we’ve seen in the portfolio that I think forces our teams to build products for their customers first and to take a back seat to whatever investors might want this year. Because, you know, we’re, as investors in general, we’re, we’re a pretty flipping group. And, you know, one year we like machine learning, one year we want AI, one year we want data science, you know, we’re a tough crowd to deal with. But the guys out here are focusing on their customers and are showing us and reminding us every day that, that those are the real opportunity to build a business making those customers happy and, and making them successful is what will drive a successful business. Nick: #Chris, if we could address any topic in startups or venture, what topic do you think should be addressed and who would you like to hear speak about it? Chris: I think that the trend about which I’m most excited is there are a crop of new venture firms that are emerging on planet earth. And it’s not just here in the midwest. I see it in Silicon Valley. I see it in, in China. I see it in India. I’d love to see #Dave Swensen the, the CIO of the #Yale Endowment talk about, they’ve had a tremendous success in venture, talk about what it is that they’re looking for in their managers and, and why they pick the ones that they do. Nick: You’re a Yale alumnus, right? Nick: Very cool! Okay, and then, #Chris, what startup investor has inspired and influenced you most and why? Chris: It has to be the #Sequoia guys, and I look at #Doug Leone as, as being the most influential investor I have ever worked with in the past. And #Doug has shown that over time you can not only be a, a great partner to, to entrepreneurs but you can also be a great friend and you can build a lot of trust. So it’s not because he hasn’t dealt with a lot of tough conversations. It’s that he’s, he’s very, very good at them and he has an ability to, to take what are incredibly uncertain and challenging circumstances, distill it down to the most important issues and really help teams understand that there is a, a path through this and it’s one around which we can all get excited about. He is, you know, probably one of the very few people you talk to in Silicon Valley or do references on where every single person you call has only great things to say about him. And, and he’s also, he’s also thought of as a fantastic investor. He’s, you know, worked with some of the very best companies in the world. Nick: And just to wrap up, what’s the best way for listeners to connect with you? Nick: Awesome! Well, #Chris, thanks again for spending the time today. I was just speaking with #Kishan Shah the other day, who I know you’ve spent a lot of time on, on the board of #Channel IQ, and he wanted me to say hello and I was very excited to tune in for the interview. So thanks again for, for sharing your time and hope to connect again soon. Chris: My pleasure, #Nick. Thanks for having me. I’m happy to help. I love what you’re doing and working on and, and happy to contribute however I can.